The parking garage at 555 9th Street had experienced a number of water leakage problems. Crosspoint Realty, the management company, contacted Western Specialty Contractors to assess the problems. After reviewing the situation, it was decided to split the work into three phases. 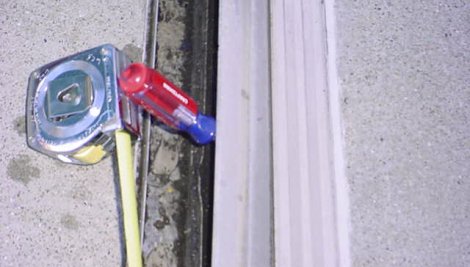 In phase one, Western recommended to replace failed caulking and expansion joints. Most of the water problems were occurring in these areas. 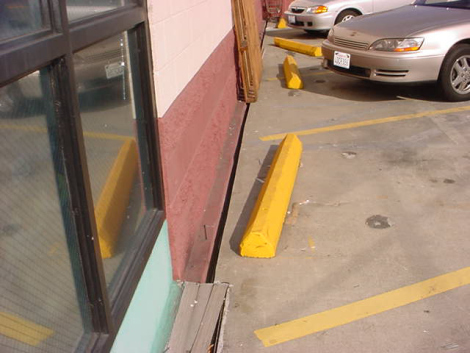 The metal cover plate over the expansion joint had suffered a great deal of damage due to steel wheel traffic and exposure to fork lifts. 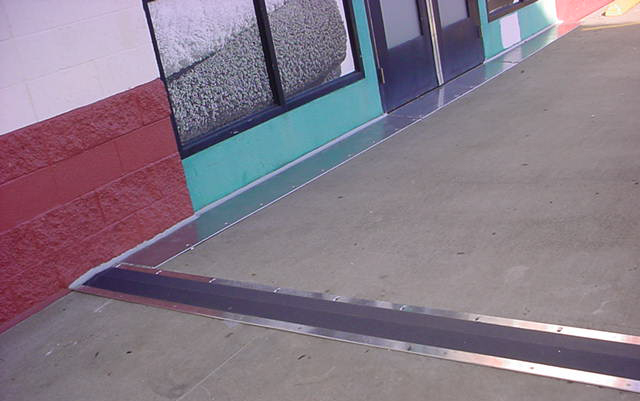 Western worked with standard sheet metal to design a new metal expansion joint cover. The new heavier aluminum cover plates will not only protect the expansion joint, but the exterior caulk joint as well. The first phase of the project also included stucco repairs. Phase two will begin in 2005 and involves the application of an Isoflex heavy-duty vehicular traffic coating. Since the project has been completed, the water problems have been eliminated.